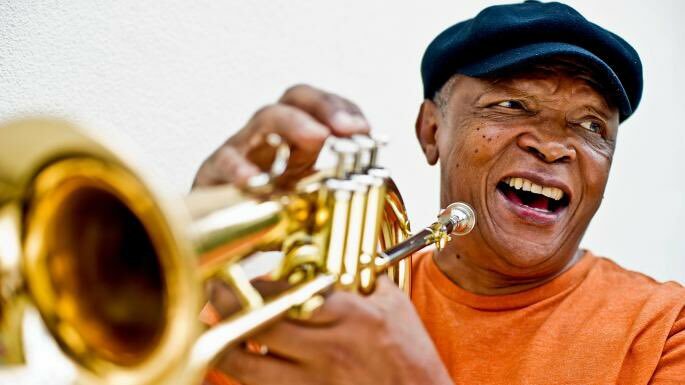 Google on Thursday celebrated what would have been the 80th birthday of legendary South African jazz musician, Hugh Ramapolo Masekela – fondly called ‘Bra Hugh’, with a Google Doodle in his honour. The world-renowned trumpeter died on Jan. 23, 2018, after a decade long fight with cancer. In its tribute to Masekela, Google wrote that at the age of 21, he began a 30-year exile, traveling to New York where he enrolled in the Manhattan School of Music. He observed jazz giants like John Coltrane, Thelonious Monk, Charlie Mingus, and Max Roach on a nightly basis. Google Doodles are when Google creates a special‚ alternative logo on their homepage to commemorate people‚ holidays‚ events or achievements.